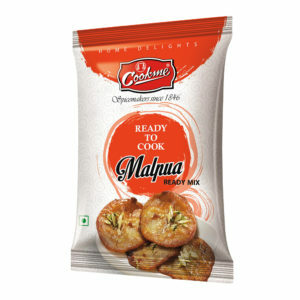 Need Refined Flour (Maida) 500 g, Cookme Radhaballavi Mix 100 g (Content of the pack), Oil and Salt as per requirement. Take a bowl and make a thick paste by adding water to the entire contents of the pack of ‘Cookme Radhabhallavi Mix’ and keep it aside for 15 minutes. 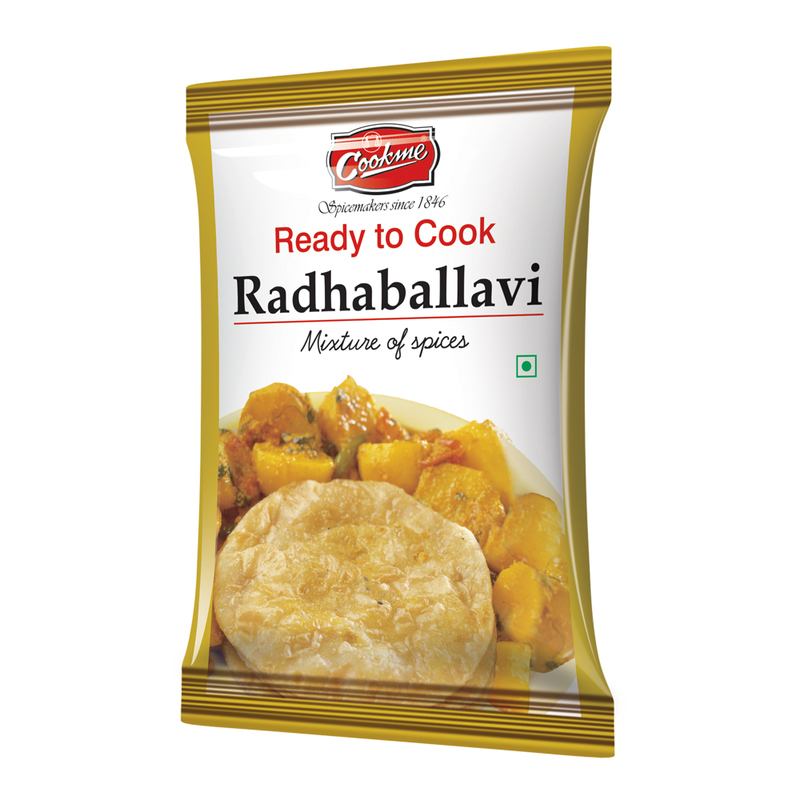 Heat 2 tsp oil in pan and sauté the paste made with ‘Cookme Radhaballavi Mix’ in low flame to make the filling of radhaballavi. Mix the flour well with little oil and salt. Add sufficient water and knead the dough. Divide the dough proportionately into several pieces. Stuff the filling in every pieces of dough and roll into round size like luchi/puri. Fry in hot oil and serve hot.